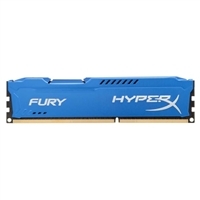 Kingston proudly introduces the HyperX Fury Series, a new line of reliable desktop memory modules ideal for the entry level gamer or PC enthusiast. The HyperX Fury Series features a new streamlined clip less design. Its heat spreaders provide thermal performance at an improved price point.